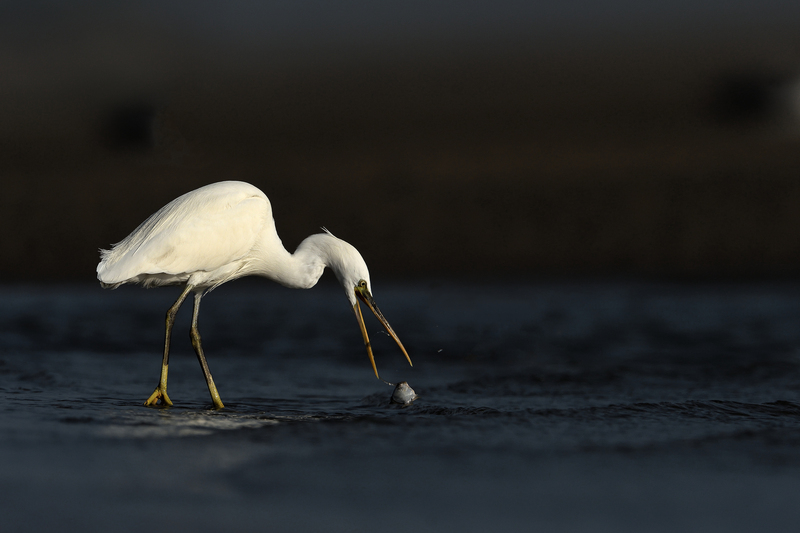 One of the egrets that I had not seen before the trip to the Modhva fisherman’s village off Mandvi (in Gujarat) was the Western Reef Egret. 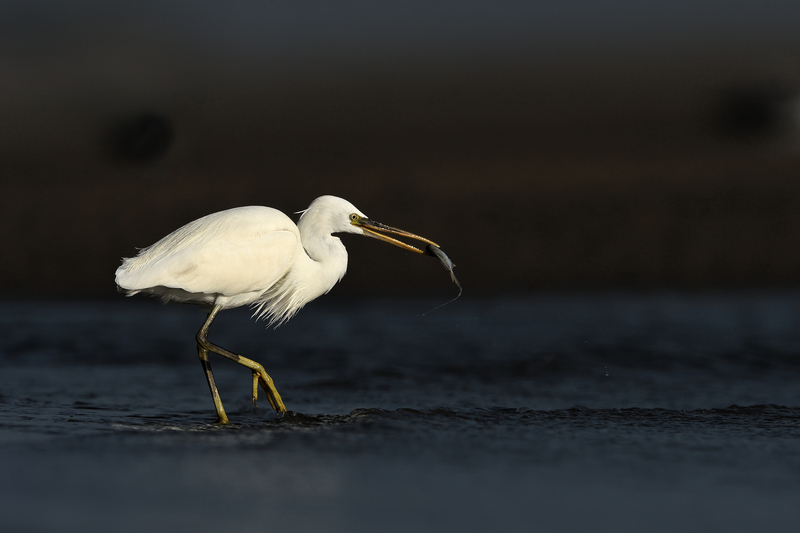 This egret is found in the W and SE coasts of the country and is seen in 3 morphs – dark grey, intermediate and white. 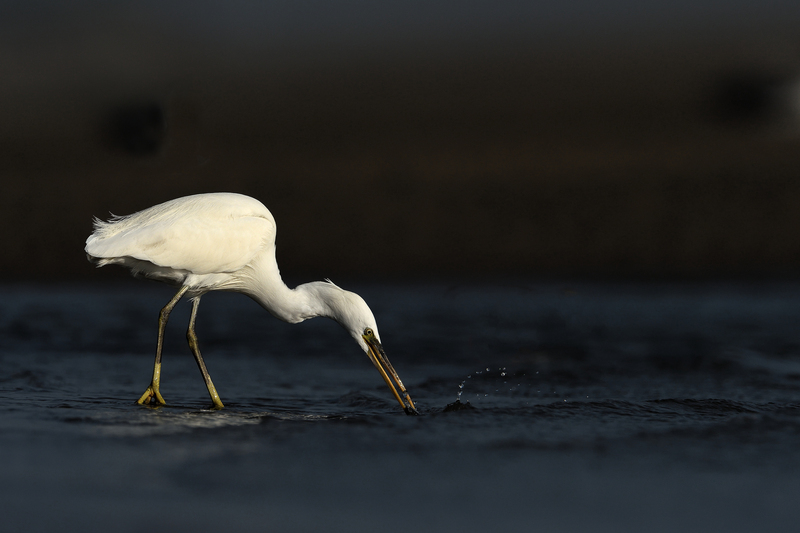 It’s bill is stouter and longer than the Little Egret Bill and usually appears to be very slightly downcurved, typically yellowish or brownish-yellow. Legs are slightly shorter and thicker-looking than the Little and vary from black with yellow feet to being mainly green. 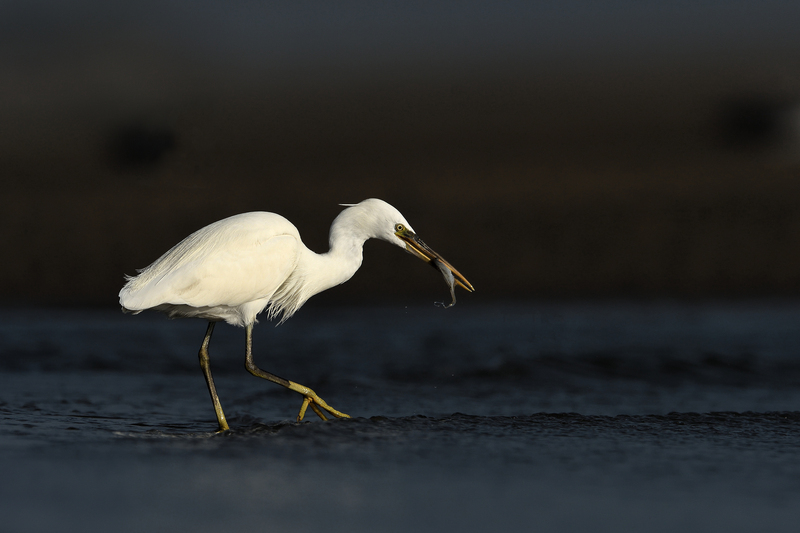 Having not seen a specimen before, when I first saw a white morph I mistakenly assumed it to be the Little Egret. Honestly, I reckoned that the dark grey is the more common morph and didn’t bother giving it a second glance, till it was pointed out to me. This particular one was busy hunting at the edge of the shore as the waves were rolling in. When I first turned my attention to him, he had just caught and was swallowing a catch. And I was cursing myself for not having been alert to this action. But he wasn’t done by a long stretch. Soon he caught another one, except that he seemed to have snagged a biggie this time. He was having difficulty handling the catch, was turning it around in his beak, dropping it back into the water in the process, catching it again and repeating this a few times. Eventually he did manage to make a meal of it, but not before I had the chance to get a XQD card full of nice images.